This page is built using universally-recognised HTML and CSS web coding, with is correctly honored and rendered by most popular internet browser programs. However, Internet Explorer is not one of these browsers and therefore requires special treatment to enable pages to be displayed anywhere near the way they are intended to be shown. Unfortunately IE does not support some functions that other better browsers support, and so these functions have had to be disabled for your browser so that you can access this website. Background images for forum pages are scaled up in size due to IE not correctly interpreting a script to size images best for your screen resolution. In order to get the full browsing experience of this website as the site designer intended, please install a proper internet browser such as Chrome, Firefox, or Safari. This effectively makes the site behave as though you are viewing it in a proper browser while still using Internet Explorer - and therefore it is recommended to be installed. 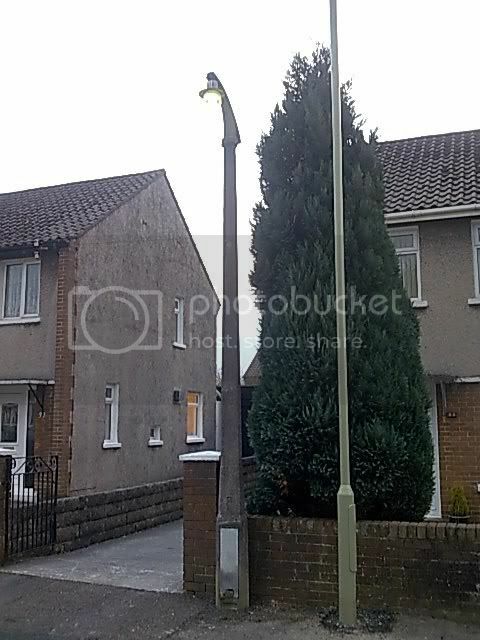 Hi folks, I recently joined here having become interested in streetlighting around my area of South Wales. 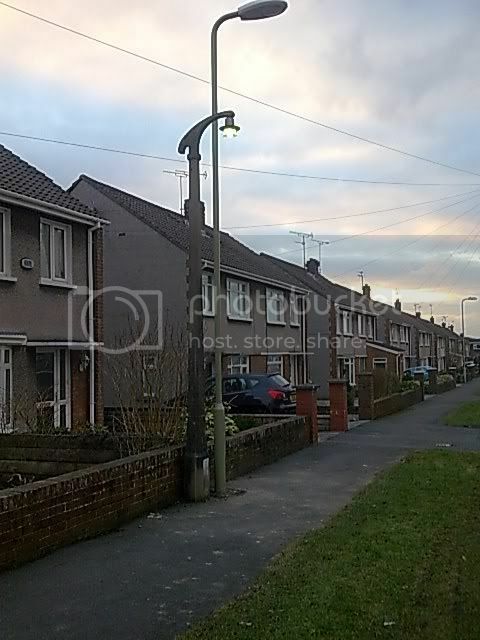 There are certainly some relics still about, including a whole street in Swansea lit with Avanue 2D columns (I dont know the lantern types sorry! one definetly has an open bottom, and dont know if its by design or just missing the bowl) http://maps.google.co.uk/maps?f=q&source=s_q&hl=en&geocode=&q=swansea&sll=53.800651,-4.064941&sspn=11.644408,28.081055&ie=UTF8&hq=&hnear=Swansea,+United+Kingdom&ll=51.678483,-3.91713&spn=0,359.993144&z=17&layer=c&cbll=51.678461,-3.916978&panoid=SUk8i450MKPwF-S97gMSdg&cbp=12,245.28,,0,6.55 Just have a travel around Glycollen Drive for more 2D goodness! The most local relics to me in Bridgend are three Avenue 2D's burning mercury lamps in open lanterns, on very borrowed time as new columns have gone up next to them last week, but there are still quite a few GEC 5670's (I think I got the type right!) around Bridgend. I remember years ago that most were mercury, but most have been converted to SOX or SON now, I can only find two still burning mercury now. I also remember there are some tall fancy concrete columns on the access road to the old power station near Tondu, I'll have to pop up and take a look. Now some questions I hope the experts can answer! My parents street recently received new lights, and light given off is mainly white in colour, but with a very slight 'pinky' glow mixed in. Some lamps are more 'pinky' than others. Are these Metal Halide lamps? How can you tell the difference between metal halide and mercury on new lamps? The reason I ask is that I have seen quite a few very bright floodlights on industrial buildings etc, and they are certainly very white, with no hint of other colours. . Then I saw the little post lights in a local mcdonalds, and they seemed to have mercury bulbs, but without a mercury type green glow, so looking similar to the floodlights. Im getting rather confused! An older mercury lamp is of course easy to spot, a local school has these lighting the car park for definate. Post subject: Re: Im new! Firstly welcome to UKASTLE That google streetview displays a fantastic installation and a very rare one at that - I never though you'd still see something like that surviving! In regards to metal halide and mercury, the technicalities of lamps is not my strongest topic but I would have thought the new installations in your parents' road would most likely be metal halide as mercury isn't really used any more. Just to confuse you further, they could even be 'Cosmopolis' lamps which are a new type of energy saving lamp that provides a similar white light to metal halide. As for some being more 'pinky' than others, maybe they are type of white SON lamp? Because I didn't think metal halide or cosmopolis lamps would have any traces of pink. Hi and welcome to UKASTLE. I like that picture. Very interesting and nice to see. You really should go out at both night and day with a decent camera and take a picture of the remaining Mercury ones. Don`t go past that way too often, but that open sodium lantern looks awfully familiar. I have spotted that one up there a couple of times going past on the motorway and always wanted an excuse to go and have a closer look, at least Google have been to visit now. Saw it lit too one morning, I think that was when it first caught my eye. Could it be a Phosco P112? Looks similar. There are one or two other vintage lanterns around there too by the look of it, but no other open ones I can find. Like the proverbial rocking horse poo, those things are. As for slightly pinkish lamps, I find sometimes ceramic metal-halide/Cosmopolis can look a bit pink, depends on what it is compared to. Normally it has a somewhat "incandescent" warm-white tint to it. SON is blatantly orange by day or next to anything anyone would call "white light", but some of them can look pink when side by side with a SOX lamp. White SON is largely out of use these days as far as I know, and didn`t really make it outdoors (was more common for retail lighting) so would be surprised if it were one of those. Don`t know if it`s my eyes playing up these days, but comparing mercury to quartz metal-halide, sometimes there is a dim violet glow around mercury-fluorescent lamps, which halide doesn`t seem to have. This is especially noticeable when they are off in the distance a bit. It could be caused by the greater content of UV light produced by mercury lights, where the shorter wavelength of the deep violet/UV is more difficult to focus compared to the rest of the visible spectrum, causing it to blur. Other ways to tell them apart include the lamp shape and finish - generally mercury lamps are elliptical with a white coating, while halide lamps take on a clear tubular shape. There are elliptical halide lamps produced too, but they don`t seem as common these days. To confuse things, there are also clear tubular mercury lamps, but those are particularly rare, and emit a ghostly cold white colour of light. Firstly, that Open lantern is exceptionally rare - and would be the envy of other lighting enthusiasts if it happened to be in one person's collecton. As for pinky white lamps... this seems to be an odd issue, as I have heard that Quartz Metal Halide lamps can 'colour shift' with age - but whether that colour shift is towards oranges and pinks, or more towards blues and greens I don't know. and they're like "do you have your club card"
Thanks for the replies guys! I have contacted the council and they are willing to let me have the lanterns when they come down, just hope they don't damage them when doing so! The council so far have been excellent, they phoned me back when they promised, got hold of the right person to talk to, got a direct mobile number for the guy im dealing with, and have informed the manager who is dealing with these columns renewal. Later tonight I may have some photos of the two remaining (as i've found so far) GEC Z5670s still running on mercury, one has been dayburning for a while now and is rather dim. Crumbs, group B open sodium lanterns and possibly a Phosco P112, how rare is that! Is that the only one or are there more? Good luck saving it, however I very much doubt that such a fragile lantern will come off the concrete bracket easily. I would ask for the lantern to be cut off the bracket with a disc cutter so that the fragile plastic dosen't get damaged. If you have the space, and given how rare the Avenue 2D bracket is as well, why not ask them to save the entire bracket and cut it from the column? Sorry Phosco152, think I have confused you a little I should have been clearer in my posting, it is the mercury burning lanterns on the 2D's in my photos that I am attempting to save. As for the possible Phosco P112, I think its the only one in that installation in Swansea. I'll take a look on the weekend to be sure. That outgoing streetlight looks very similar to what Trowbridge had on side roads before SOX and Thorn Beta 5s came along. Trowbridge had Beta 4s which appeared near identical to that example which I don't think is a Beta 4 but I could be wrong! Well I would definetly phone the council and ask about the P112 whilst you are in contact with them!